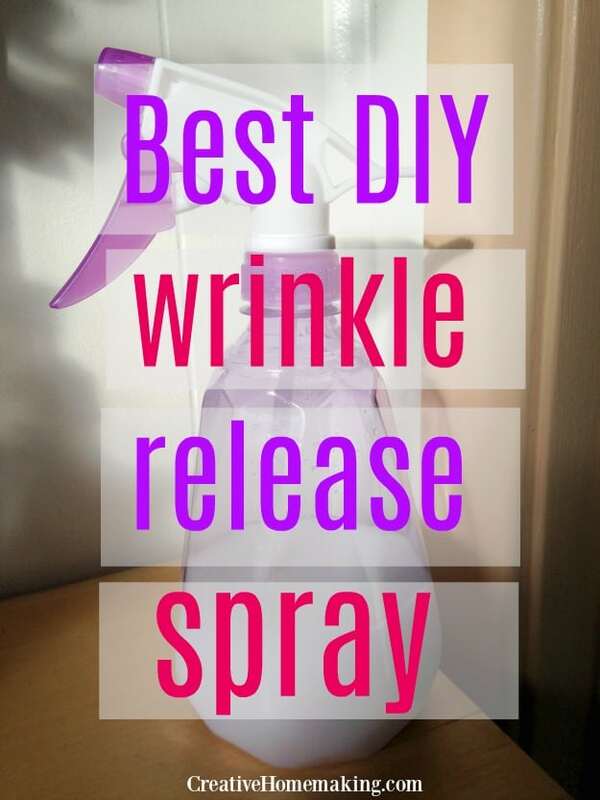 March 25, 2015 0 comments on "Best DIY Wrinkle Release Spray"
If you like the convenience of wrinkle release spray to keep your clothing smelling fresh and wrinkle free, then you will love this easy DIY wrinkle release spray. You may even already have everything you need on hand to make it. Any inexpensive liquid fabric softener will do for this recipe. Just pick one that has a good scent. Downy has some great scents out right now, like their “Orchid Allure” scent. It smells amazing. Combine the above ingredients in a clean empty spray bottle. To apply, hang the clothing on a hanger and lightly mist the wrinkle spray onto the fabric. Smooth out the wrinkles with your hands and let dry.